Back to back in West Texas! I confess I'm a long time lurker to the site and have really enjoyed all the wonderfull things that go on in here! Well...bout time I contributed something! So...... I thought I would share some pics of an awesome hunt I had the weekend after Thanksgiving! 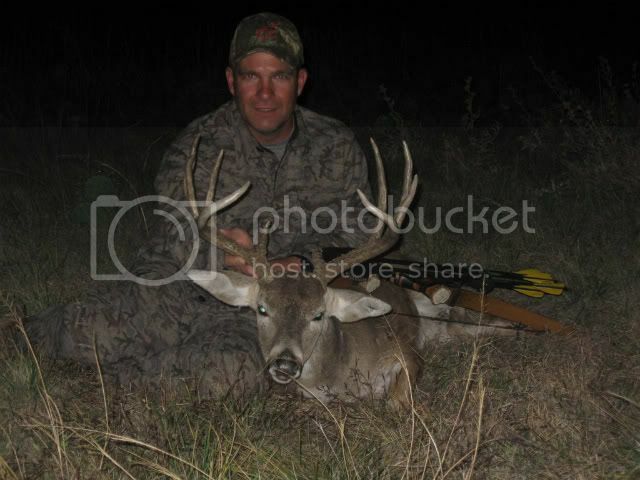 Scored on the nice 10pt at 18yds on the evening of the 28th and took the big 6pt at 19yds on the morning of the 29th. Both recoveries under 60yds. The VERY NEW BW and the Magnus I's did the trick. Re: Back to back in West Texas! How are you brother! Looks like you have a full freezer and some horns for the wall. That is just awesome on the trophy bucks! Both in the same weekend. Congrat and congrats again! Welcome to tradgang the best trad camp on the web. Jeff, I'm doing well!!! Work is taking me to N.W. AR in fact I'm moving this week! Had to get in one last Texas hunt before I'm............never thought I would say this.....a Texas non-resident. two beautiful bucks, you must be pumped, congrats! I like the sign on the TX highway "Don't mess with Texas" That must apply to thier deer too. Very nice bucks. You betcha, especially if Mr. Thweatt is boring a hole through them! I have shot with him and he has a level of focus that is rarely seen. Man that would be quite an accomplishment to take either one of those bucks, but to take both in the same weekend, what a great experience for him. Congratulations and two super bucks! 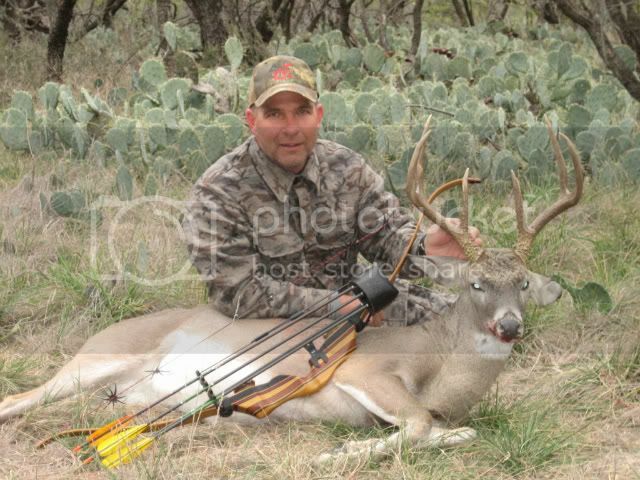 D.T....What part of west Texas did you hunt? What a great start with Trad equipment! !